This article was written by Elly Grantham, published on 26th May 2015 and has been read 2621 times. Elly Grantham studies Applied Languages at the University of Portsmouth and is currently on her year abroad, which she is spending in Lyon, France and Salamanca, Spain. 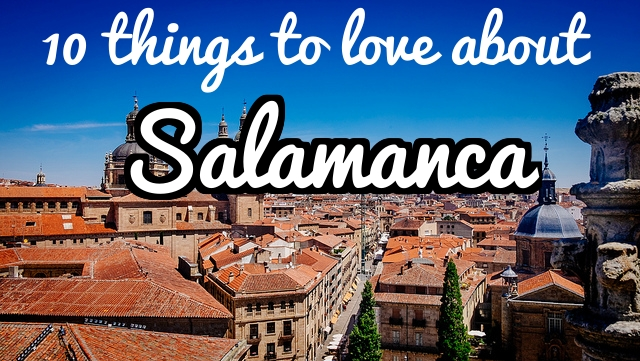 Here&apos;s why she thinks everyone should give Salamanca a go! For more on Elly&apos;s time abroad, read her blog! Salamanca is probably one of the most beautiful places you will ever visit, and every single day you will pinch yourself that you get to live somewhere so beautiful. Seriously, Google the Plaza Mayor. It is known across Spain for being the biggest and the best of its kind. Everyday, I have lectures looking out over the cathedral (Google that too), and everyday I still can’t believe how lucky I am to live here. It’s in an ideal location – 2.5 hours out of Madrid, an hour from Valladolid, the capital of Castilla y Leon (which has Primark and Ikea FYI) and right on the Portuguese/Spanish border - so you can bet you will do your fair share of travelling if you live here. Everything is SO ridiculously cheap. Food, drinks, nights out, clothes, transport, rent, bills – you name it. The chances are your wallet will be smiling during your stay here as much as you will be. The people are amazing. Normally - judging from my experience at my UK university - there tends to be a slight student/locals divide in towns in which university students have a large prevalence. This is not the case in Salamanca. Everyone is so friendly, so understanding when you don’t know what to say in Spanish, and when you do speak Spanish they actually take you seriously - a problem I know a lot of Erasmus students encounter on their year abroad. If you want to learn Spanish properly, this is your place. Salamanca is famous for being in a region in Spain in which the accent of the Spanish spoken here is the easiest to understand across all of Spain. If you’ve ever tried to speak Spanish in Spain, you will know that when a crazy Spanish lady is shouting at you at 382mph, if you can at least make out the words she’s saying it&apos;s a great bonus! There is a real sense of being within an Erasmus family here. 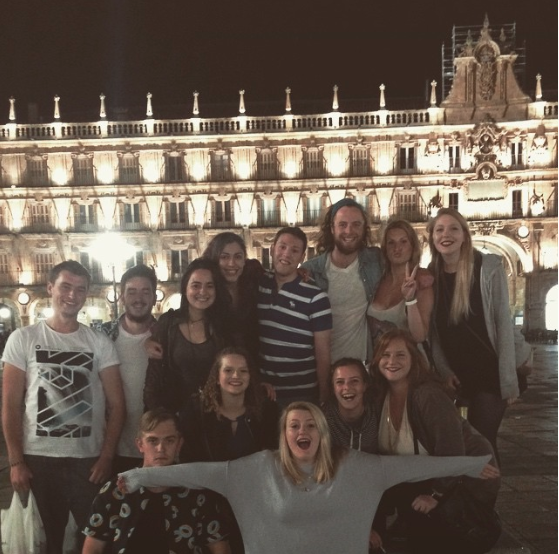 There are SO many Erasmus students from all over the world, which means by the end of your year abroad in Salamanca you will know how to say “Hi, my name is” in about 20 different languages, and have beds to sleep in at friends&apos; houses all over the world. b) It means there are so many tourist shops that sell Universidad de Salamanca t-shirts and hoodies, so by the time you leave you will be kitted out. (I’ve been here 4 months and already have a T shirt and two jumpers). Salamanca is the safest place I have ever lived. There are always people around, day or night, and everyone is just having fun, will help you if you need it, and will do so with a smile on their face (also, everyone always says hello to everyone and anyone, I love it!). Salamanca feels like the worlds best-kept secret. I don’t know about you, but before I came here on my year abroad I knew nothing about this place. I almost didn’t want to write this, because I don’t want everyone to suddenly flock here and realise how wonderful this place is and it not be so much of a secret anymore. But seriously, in the short time I have been here, for these reasons and so many more, Salamanca has captured my heart and I would quite happily live here forever. So, if you are reading this and you are thinking of Salamanca as an option, I hope I’ve persuaded you, because I promise you will not be disappointed by this beautiful hub of Spanish happiness.